Next Step Media has just launched the FlashPuzzleZone. 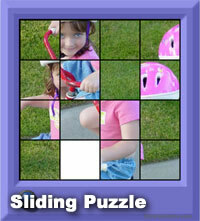 The FlashPuzzleZone has tons of dynamic jigsaw puzzles, slider puzzles, and flash games. Puzzles are being added daily. Be sure to check it out and see if you can set a time record. Next Step Media participates in the Bionicle website design contest. Bionicle is a new line of Lego contruction toys based on a futuristic quest of good vs. evil. Visit our Bionicle site and play the TOA Builder and Mask Matching games. There are also some great rendered images of the six TOA heroes in their natural setting. We just added 40+ new categories of Avatars.